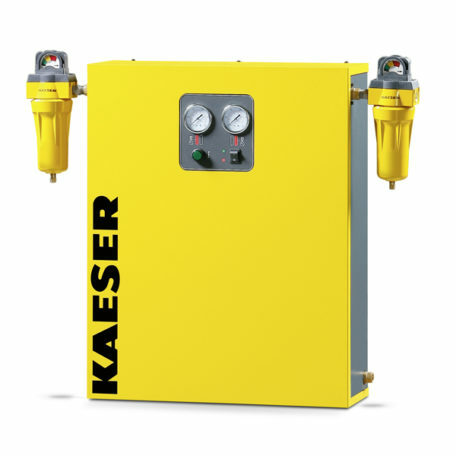 Kaeser Adsorptive Desiccant Wall-mounted dryers (KADW Series) are fully enclosed in a ready-to-install cabinet, and feature a control panel on the exterior for easy monitoring.The KADW dryer is completely assembled, piped and wired, fully charged with desiccant. Units can be mounted virtually anywhere to conserve floor space. Filtration packages are also available.